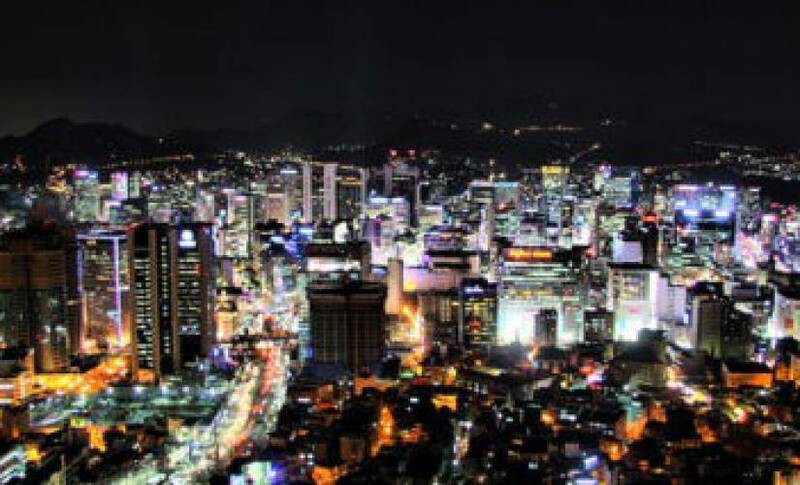 Is Seoul the world's smartest city? 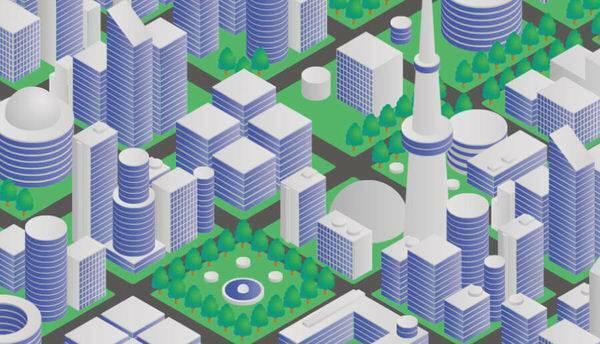 Is Seoul the world’s smartest city? In many ways, the city of Seoul is both a blueprint “how-to” guide for smart city development and a petri-dish for technological experiments. Almost every aspect of public life in Seoul is guided by technology, from its integrated public transport system to the government’s emergency warning system. Companies like Microsoft, Cisco and LG are just a few of those making technology omnipresent in the South Korean capital. It’s a constantly evolving process and when you think of a new “smart city” technology, it’s most likely that Seoul did it first – and probably some time ago. While it can be hard to compare one city’s “smarts” to another’s, here are just a few examples of the technologies that may make Seoul the world’s smartest city. According to a 2013 report, Seoul has a history empowering residents to be connected to technology. In 2012, Seoul began distributing second-hand smart devices to low-income families and others in need. Citizens are encouraged to donate their old devices when buying new ones, incentivized by tax deduction in the range of $50-100 per device donated. Seoul has been providing education courses on smart consumer technologies since 2009, offering both city-run lectures and city-funded classes through private education institutions. Aimed at immigrants, low-income individuals and elderly people using smart devices for the first time, these classes attracted over 47,000 people from 2009 to 2011. Although still addressing the basics of smart technology use, these classes will, in the future, teach more advanced skills, giving more citizens the tools to improve smart Seoul’s services. OLEV (Online electric vehicle technology) enables vehicles to transfer electricity wirelessly from the road surface while they’re moving. As a bus drives through along one of the recharging surfaces, power comes from electrical cables buried under the surface of the road, creating magnetic fields. There is a receiving device installed on the underbody of the OLEV that converts these fields into electricity. The length of power strips installed under the road is generally 5%-15% of the entire road, requiring only a few sections of the road to be rebuilt with the embedded cables. 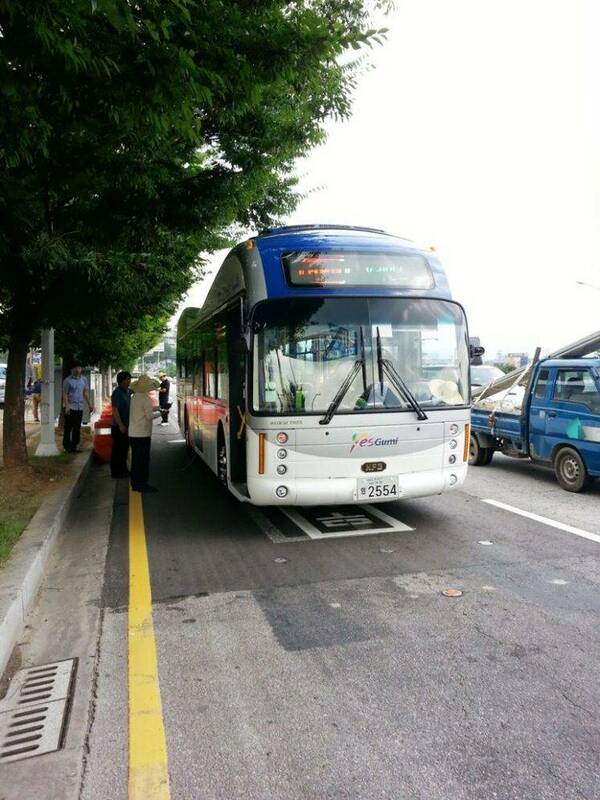 The strip of road lined with cables is also able to distinguish OLEV buses from regular vehicles, meaning it can switch itself off when it’s not in use. As the buses don’t need to hold enough charge for the entirety of their journeys, their batteries are around three times smaller than those on most electric vehicles. u-Seoul Safety Service has been in operation since April 2008, combining location-based services and CCTV technologies to notify authorities and family members of emergencies involving children, the disabled, the elderly, and those suffering from Alzheimer’s disease, all of whom are voluntarily equipped with a smart device. When its holder leaves a designated safe zone or pushes its emergency button, an emergency alert is sent to guardians, police, fire departments and CCTV Control Centers. Seoul’s open governance strategy encourages transparent city governance and open communication between the city’s government and its citizens. Citizens and the private sector are consequently encouraged to make use of the city’s administrative information to uncover new job and business opportunities. In March 2013, using GPS embedded in smartphones, the Seoul Metropolitan Government began to offer “Information around myself on maps,” a feature that provides information on locations of free Wi-Fi zones, disabled-friendly facilities, unmanned certification-issuing equipment, restrooms, and construction sites. There is also the Dasan Call Center, a 24/7 government agency that fields all questions regarding city services. Residents can also book public services and utilities through the internet 24/7. Eunpyeong u-City is perhaps the most “Big Brother” example of a smart city. It’s the result of a 7-year project completed in 2011 and now houses 45,000 people on land covering 862 acres. Eunpyeong’s residents do not require private Internet access or smart devices to make use of city services, and instead receive practical information via smart devices on their living room walls. In the interests of residents’ safety, intelligent CCTV cameras installed on every street corner automatically detect people trespassing on private premises. The city’s high-tech street lamps reduce energy us, and provide residents with wireless internet access. The city’s u-Green service represents a network of sensors assessing factors such as water and air quality, transmitting this information directly to public spaces and the devices in citizen’s living rooms. 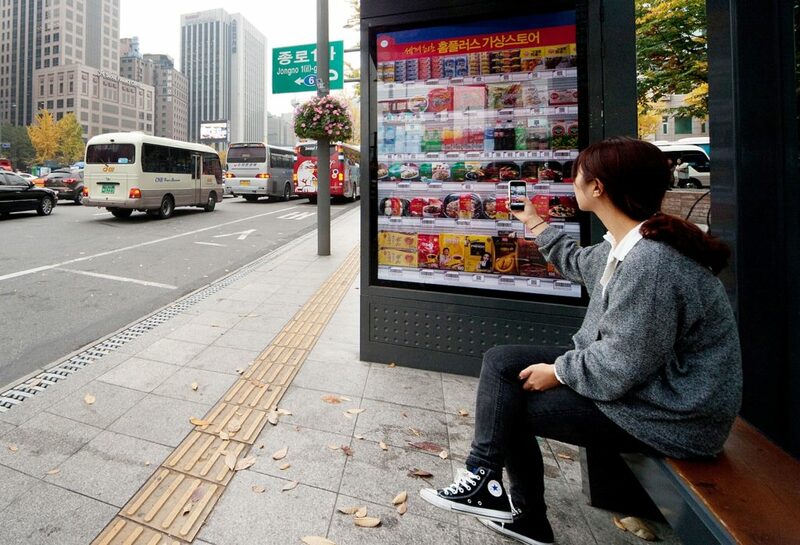 International grocery chain, Tescos has had virtual stores in Seoul in public spaces since 2011. Products are laid out just as they’d be in a traditional shop. The “shelves” feature QR codes which can be scanned by the traveller’s mobile phone, building up a shopping basket in the few minutes before the train arrives. If your train comes before your basket is complete, you can carry on shopping without the pictures and codes.